Brent crude oil moved higher yesterday as the US instigated additional sanctions against Russian officials. In contrast, US crude went south, losing $0.52 to $98.63, as the dollar strengthened and crude inventories rose to their highest level since late November last year. Gold prices remained under pressure as the Fed hinted at the possibility of an interest rate hike much sooner than initially anticipated. However, the tensions in Ukraine show no signs of abating, with US President Obama announcing another set of sanctions for Russia, which offered some support for the precious metal. As a result, the gold market lost just $3.3 to $1,328. Despite a stronger dollar, Nymex crude oil gained $0.55 to close at $99.15 per barrel. The driving influence behind the gains was a report showing that the stockpiles at Cushing, Oklahoma had fallen again. In contrast, the US Department of Energy suggested that overall inventories rose by 5.85 million barrels to 375.9 million barrels. 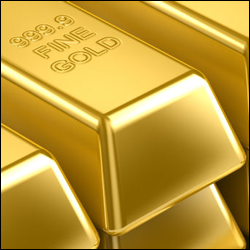 As the Fed reduced monetary stimulus further, gold prices lost $25.7 to $1,330.3. Additionally, expectations for an interest rate rise in the first half of 2015 accentuated the decline as investors could start moving out of non-interest paying gold in their search for superior yields. As the Seaway pipeline from Cushing, Oklahoma to Houston, Texas looks set to more than double its capacity, US crude prices rebounded $1.14 to $98.62 per barrel. On top of that, positive economic data implied that demand for crude will remain strong. Later on today, the US Department of Energy will release its weekly crude inventories. Gold continued its tumble yesterday as Putin's promise that he's not seeking to split up Ukraine reduced demand for safe haven assets. Having said that, whilst the precious metal did lose $11.3 to $1,367.3, we would need to see a drop below the $1,355 mark to change its short-term outlook to the downside. Following the vote in Crimea over its allegiance to Russia, the US and European Union announced a set of sanctions against a number of Russian and Ukrainian officials. Despite this, commodity traders seem to think that oil shipments are unlikely to be disrupted and so crude prices fell, with WTI losing $1.02 to $97.48 per barrel. Gold prices were hit by profit taking yesterday, dropping $15.2 to $1,367.3 on the back of strong industrial production figures in the US. That same data triggered a rise in equity markets, which overshadowed the precious metals despite their recent strong uptrend. Position squaring ahead of weekend pushed WTI crude oil $0.43 higher to $99.05. Investors did not want to go into Sunday's referendum being short, especially when talks between the US and Russia had failed yet again. Tensions in Ukraine, combined with the FOMC meeting, will likely be the main influencing events for this week. Gold continued its strong rally on Friday, gaining $12.6 to $1,383.1 on escalating tensions between Russia and Ukraine with no end in sight. In addition, China's economy is stuttering which is also sending investors into the safety of gold.